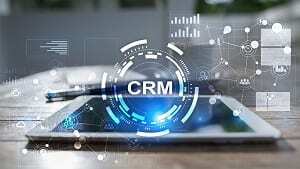 What are the real CRM switching costs? Can you customize it to your needs? In this article, we’ll look at what can prompt a CRM switch, the advantages, and a few CRM implementation steps to get you started. The decision to change your CRM system doesn’t come lightly because it’s such an integral part of business. 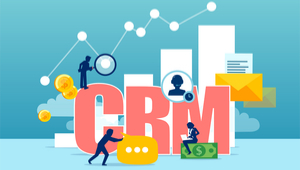 A properly implemented CRM can yield an ROI of 245% after a few months. Any organization would be reluctant to give that up while implementing a new CRM. Switching CRMs is something that requires a lot of thought while weighing the pros and cons. You have to transfer data, deal with the hidden CRM switching costs, and possibly call in someone for proper CRM implementation. Here are a few telltale signs that switching CRMs is the right decision for you. A CRM with limited features holds your organization back from its full potential. For example, CRMs with a mobile app help 65% of sales reps hit their sales quota while only 22% of sales reps that don’t use a mobile app hit their quota. At the same time, too many features add complexity and take away from the core functions of your CRM system. In a study by Apptivo, it was found that the number one reason organizations change CRM systems was because of complexity. Too many screens, features, and bloat are detrimental. The best CRM systems like Pipedrive offer integrations with other tools you use regularly. These integrations make it possible to keep track of all your data no matter where it comes from. Without these integrations, you’ll be forced to perform a lot of manual data entry which defeats the purpose of your CRM system. It’s natural for you to keep things small when first starting out. You don’t hire often, buy cheaper software, and do everything in your power to cut costs. For a while, that strategy worked and your business grew. Now, it’s time to invest in tools that’ll meet the needs of your growing company. This may be one of the most important reasons for switching CRMS. One of the advantages of proper CRM implementation is speed and efficiency. It lets you update contact records on the go, collaborate with teammates, and deliver better customer experiences. Difficult implementation throws those advantages out the window. It’s also something you may not realize until you’ve started using the CRM. By that time, many people decide to stick with it for the short term. There’s no reason to settle for a bad looking product that also doesn’t perform well. There are too many beautiful and functional options on the market, such as Monday.com. While there are of course a few common challenges associated with switching CRMs, it would be wrong to overlook all the advantages. 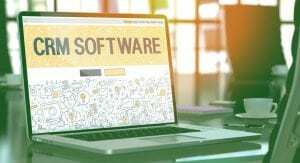 Poor user adoption – If you’ve ever been the one to introduce new technology to your organization, you know implementation can be a real nightmare if not handled properly. The same challenges apply to CRM implementation. Many organizations drop the ball here. The end result is a shiny new CRM that collects money and dust every month. 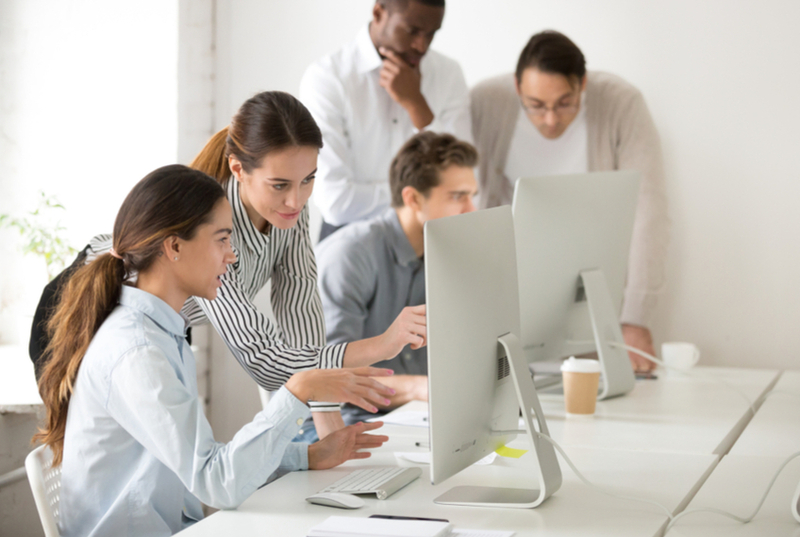 Inadequate training – This follows on the heels of poor user adoption. In fact, it’s part of the reason for it. No matter how simple software appears on the surface, it takes time and energy to learn. If that learning curve is too steep, many members of your organization won’t have the motivation to figure it out on their own. Better collaboration across teams – A CRM doesn’t work unless everyone uses and contributes to it. If you allow the executives to skip over using the CRM or only ask your sales team to enter the bare minimum, you’ll never get all the benefits. When the whole organization is involved then data is shared, problems are tackled, and deals get closed. Productivity gains – If every client interaction is recorded then any member of the team can pick up where someone else left off. It creates a seamless experience and deals aren’t held up by unforeseen circumstances. Reduced client churn – Business, especially over the internet, can seem cold and transactional. The more you’re able to understand and recall about a client during interactions the better your relationship. Also, the more people who develop relationships with a client, the less likely they are to leave. When a client has relationships with up to five people at a firm, the risk of losing them drops to 5%. We’ve discussed a lot about the reasons why you may want to change your CRM and the challenges you may experience. Now it’s time to discuss how you can create a seamless experience for your organization when you want to change CRM systems. As long as the CRM you’re considering has the must-have features then it should be considered a viable option. Before making your final choice, clearly document and communicate the limitations of the software to stakeholders involved. This is one of the key CRM implementation steps. When your people aren’t on board with switching CRMs, no one wins. One of the top reasons organizations don’t realize the benefits of their CRM is because people aren’t using it. It’s not enough for one department to take advantage of it. Top management must also be on board and actively using it. This creates a trickledown effect and encourages laggards to get on board. I mentioned how the lack of training can be detrimental to your new CRM. Your people are busy and many won’t take the time to figure out the software when they’ve got so many other things to do. You can remove a lot of the pain associated with learning new technology by creating quick-start guides. These can be short videos or documents that outline the most commonly used features of the CRM system. No matter how well you prepare for the new CRM implementation, there will members of your organization who are dissatisfied. Instead of ignoring the voices of dissent and moving ahead, collect feedback. Make it a point to understand why they have a problem with the new CRM. If it’s something that stems from lack of education then work harder on getting the right information in their hands. The key is to use feedback to understand where implementation has hit a snag and address it on a case by case basis. Switching CRMs is never easy because it’s such a critical part of your workflow. There are real CRM switching costs and not all of them are monetary. Navigate the process by getting clear on why you’re switching and the challenges you’ll face. Create a plan, get the right people on board, and consistently collect feedback so you can correct course as needed. When you’ve successfully made the switch you’ll be happy you took the time and effort to do it right. Daniel is a small business owner at large helping his peers navigate the challenges they experience on a day to day basis. His philosophy is simple, if it isn’t broken you can still make it better. Our goal is to provide answers to all of your questions so you can make a confident purchasing decision. We welcome your feedback, so please email us at service@ top5-crm.com with suggestions and questions. We’d love to hear from you!